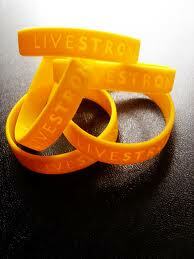 The famous yellow wristband that has helped raise millions for cancer research and services, in addition to being a visible symbol of strength and hope. 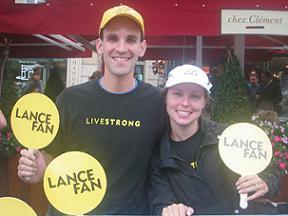 Seeing Lance for the first time during cancer treatment. 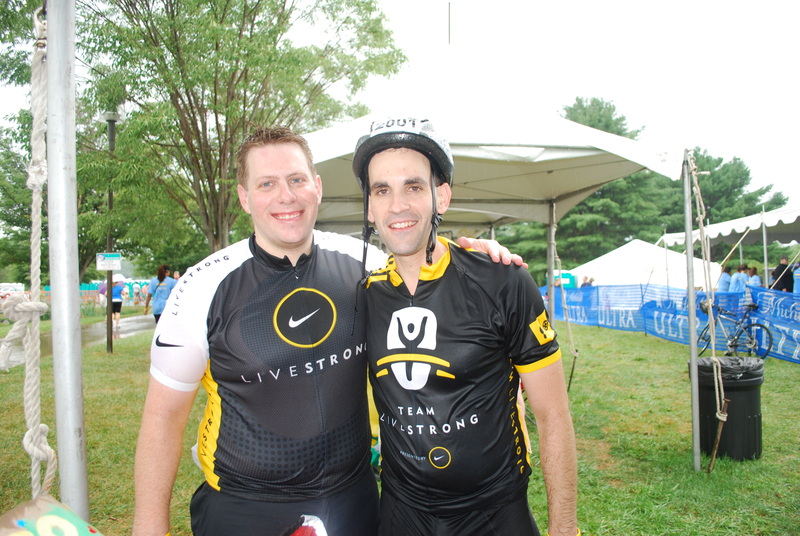 The Tour of Hope was a great event sponsored by Bristol-Myers Squibb. 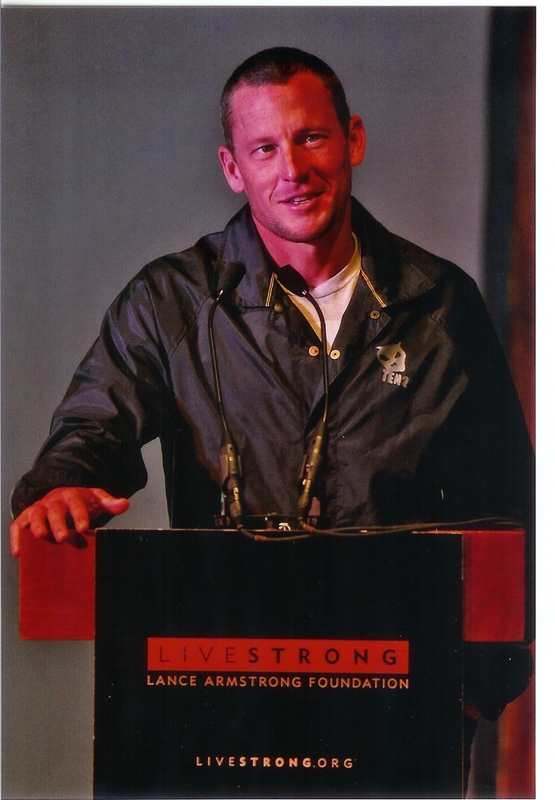 Very inspirational to us before the month-long hospital stay. 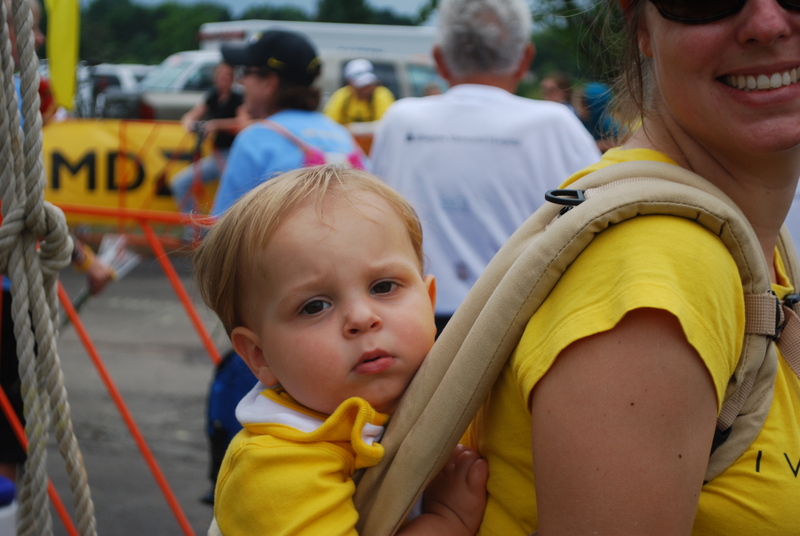 In the Pyrenees waiting to see the Tour de France riders. 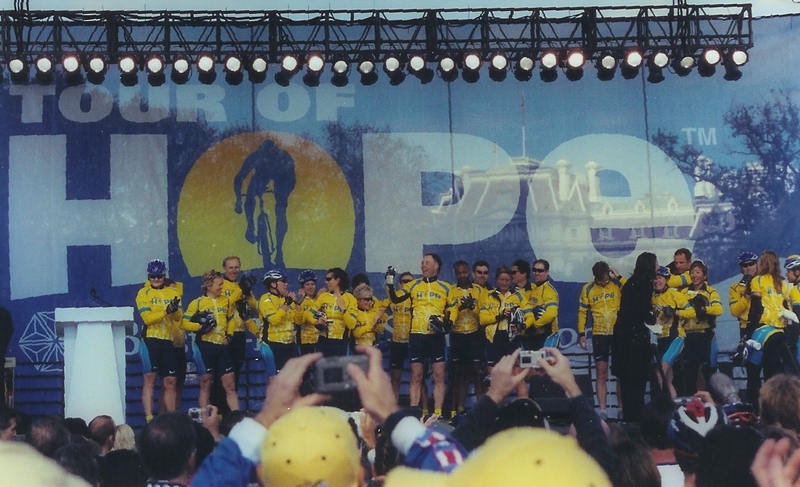 Camped on the side of the mountain to make sure we had a great spot. 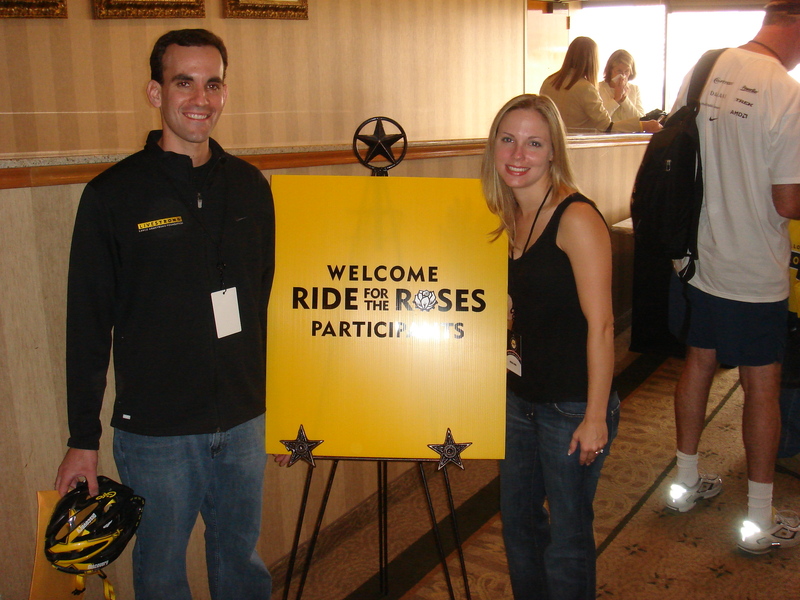 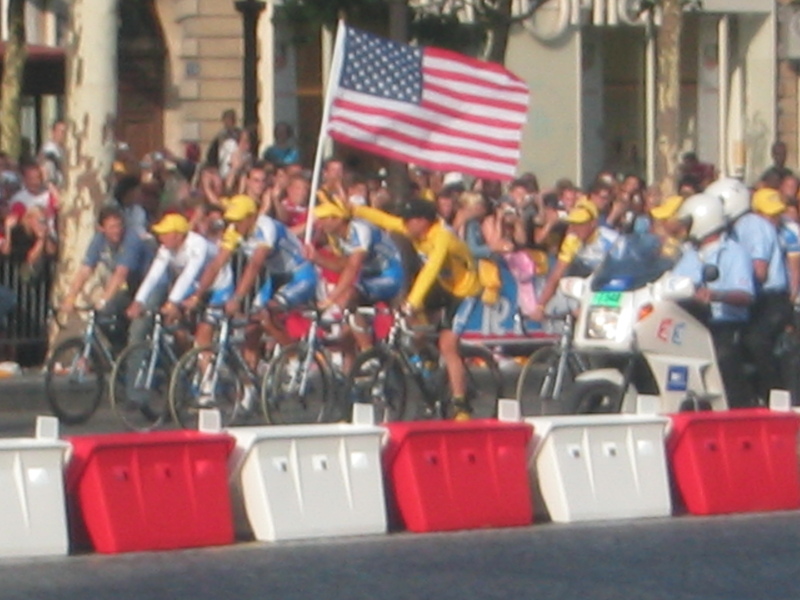 Ride for the Roses in Austin, TX in October, 2006. 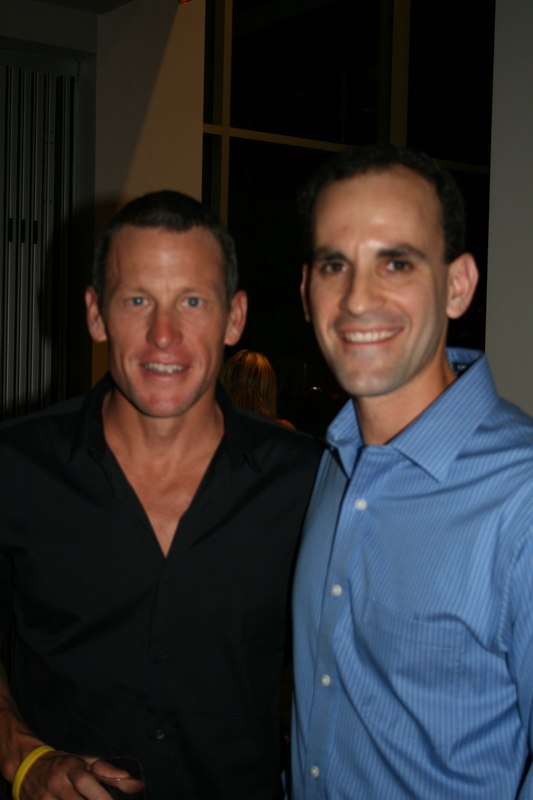 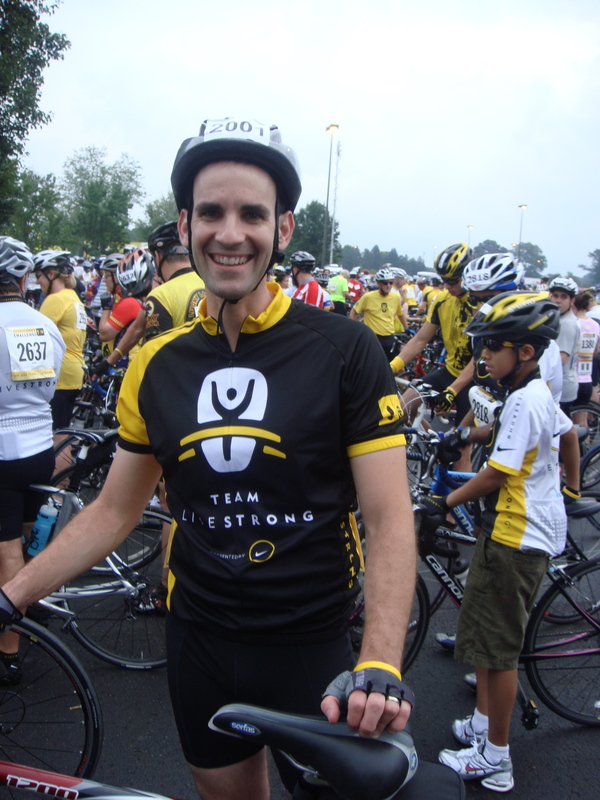 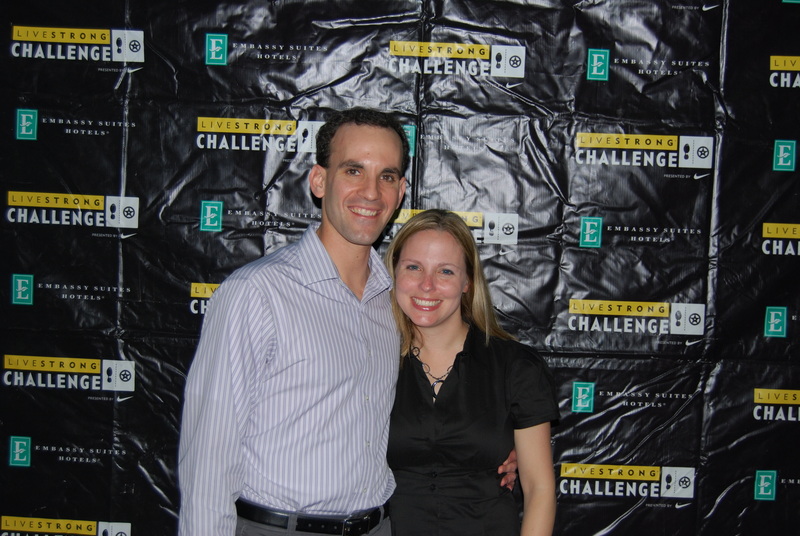 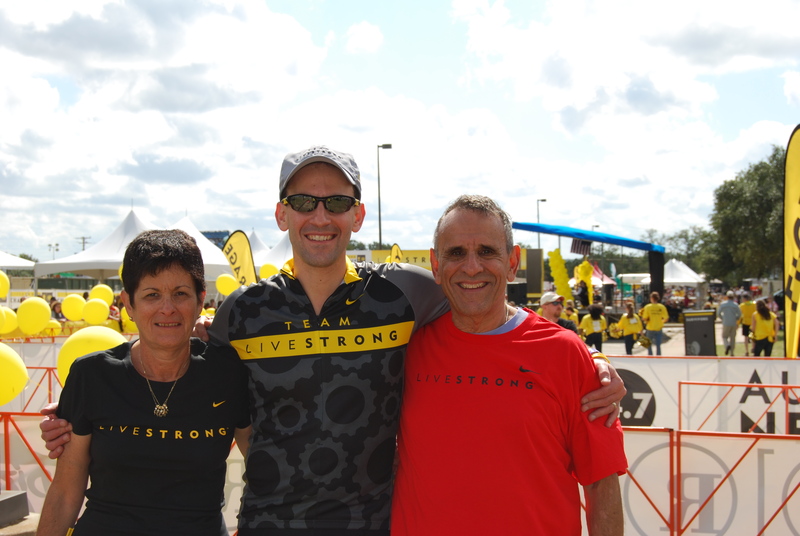 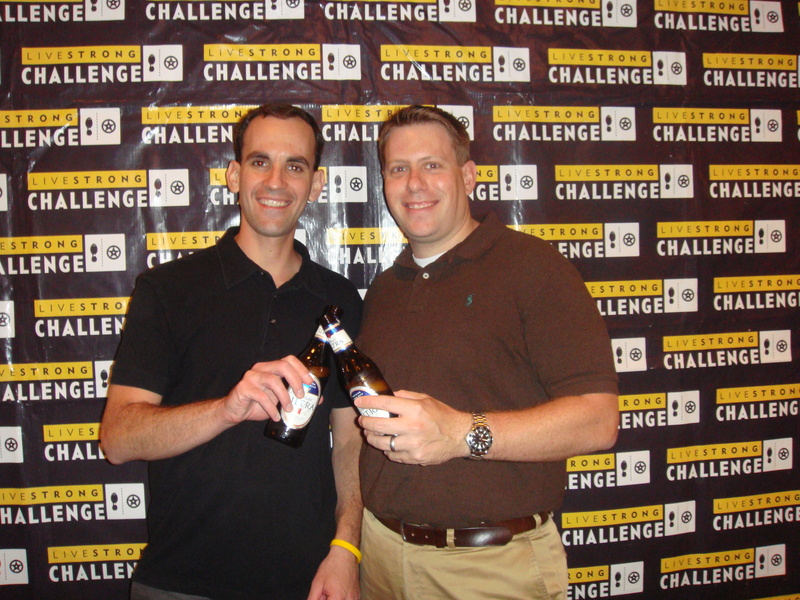 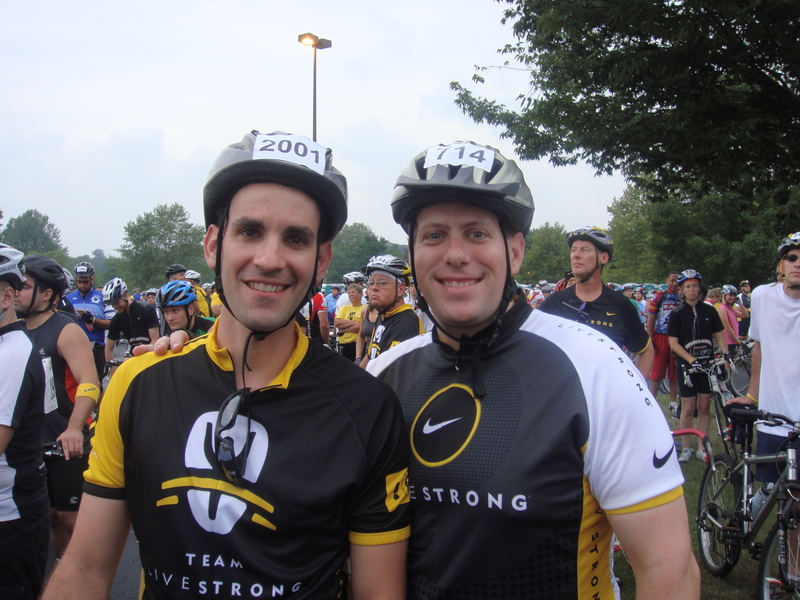 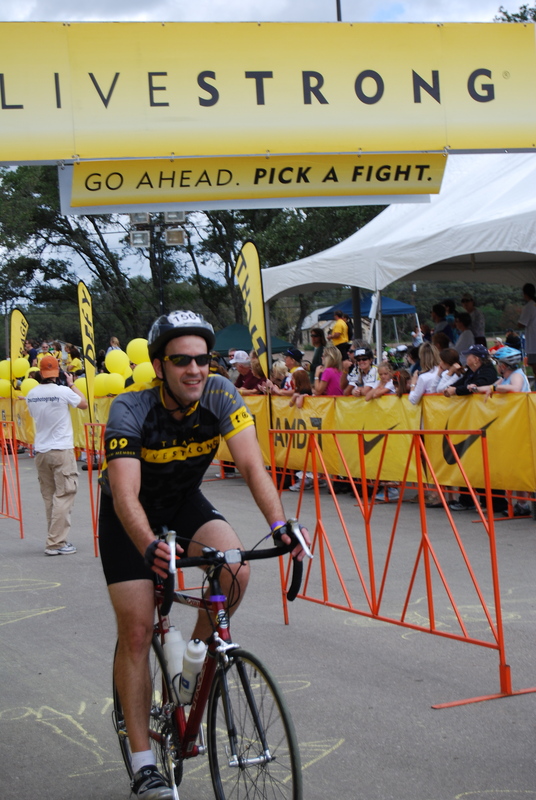 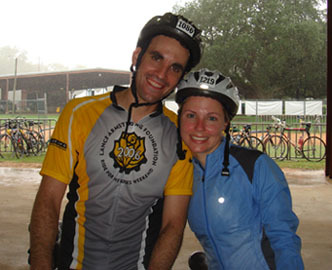 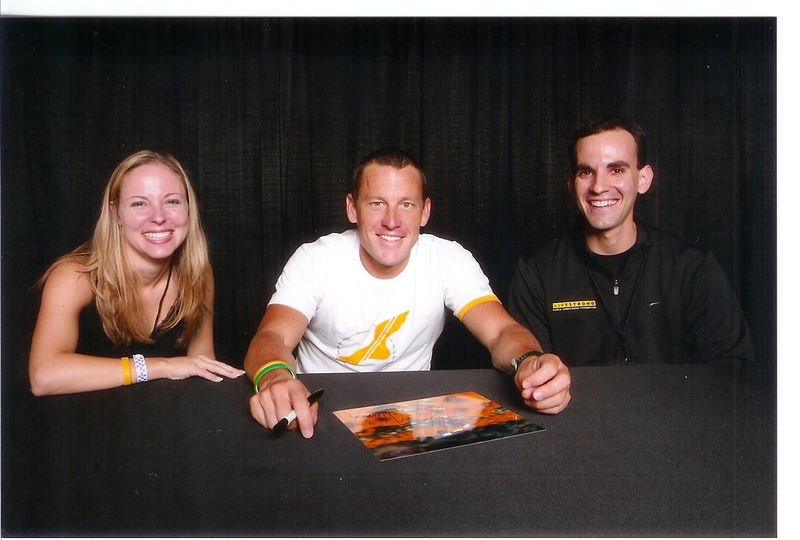 This was our first, and best, year of fundraising for the Lance Armstrong Foundation. 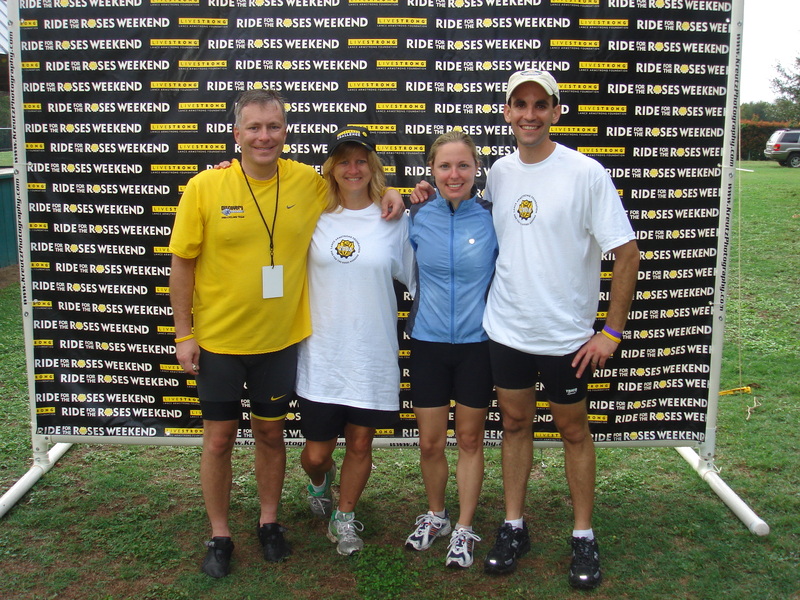 We were part of a select group of cyclists/fundraisers that got invited to the Ride for the Roses. 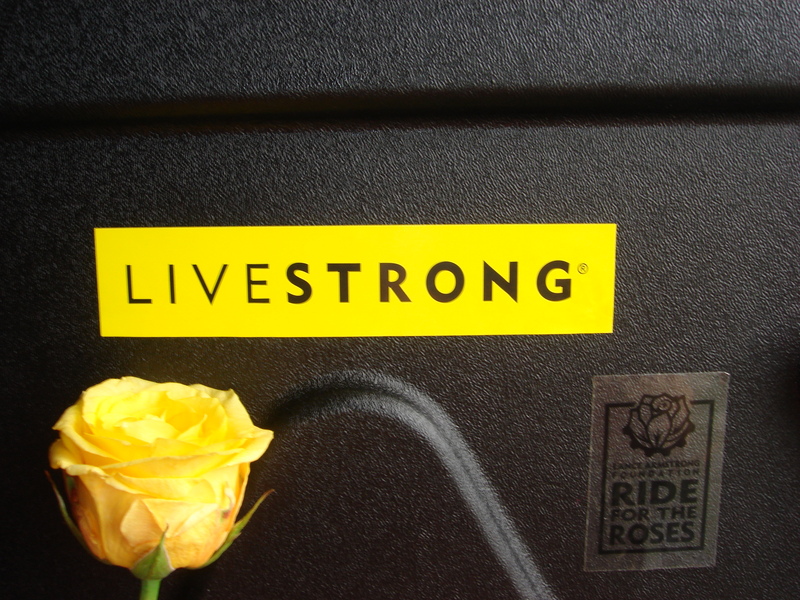 Our second Ride for the Roses in Austin. 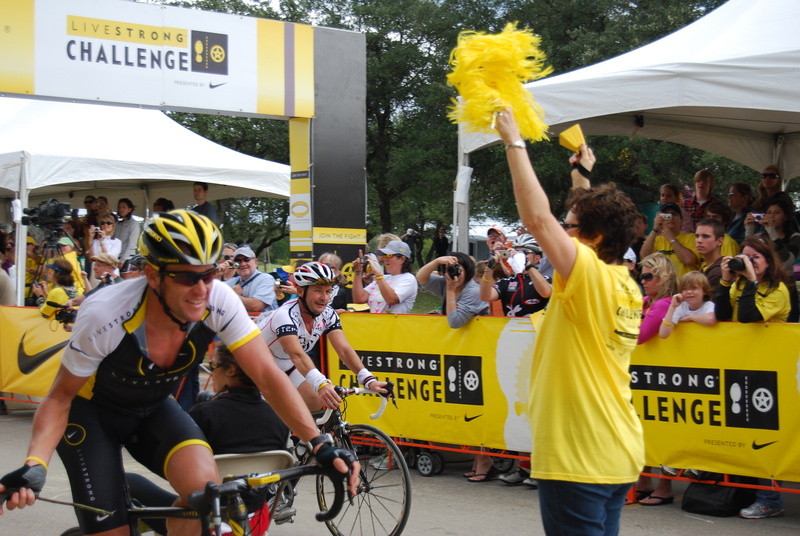 Our second best fundraising year. 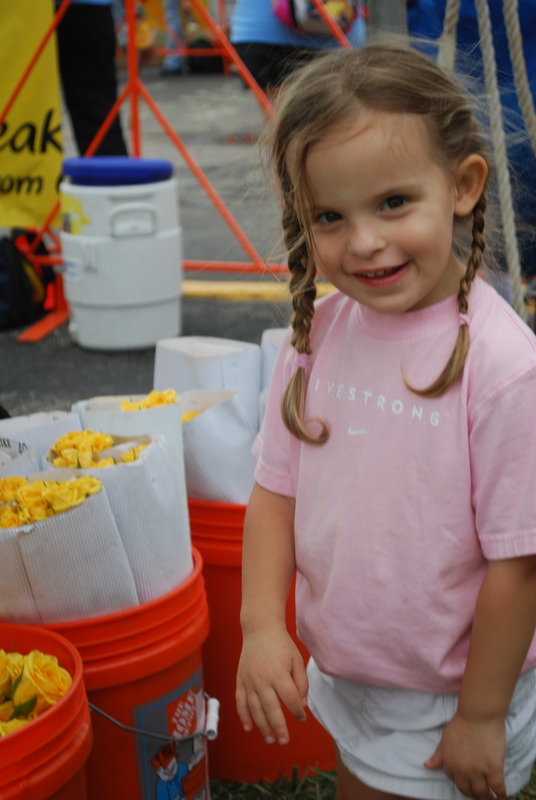 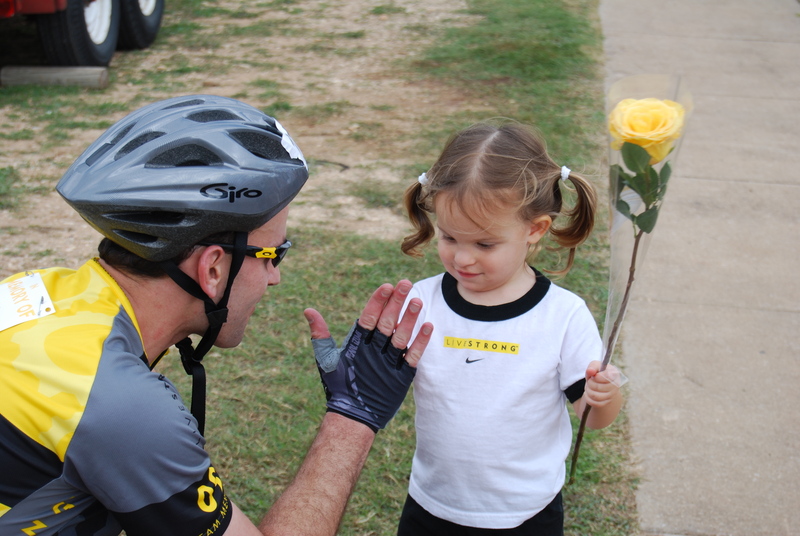 One of my favorite images – Les giving our daughter a high five – the yellow survivor rose and Livestrong shirt make it even sweeter.